There's been a few recent trend changes in the desktop monitor market. 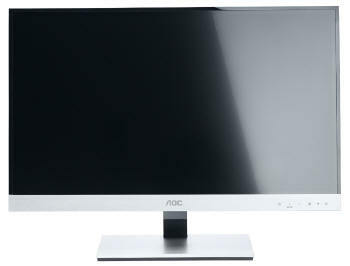 Firstly the 27" size range has become increasingly popular, almost becoming the entry point for many users now. This size sector has now started to see some lower resolution IPS models introduced. The ever-popular IPS panel technology continues to be widely used, but has in some cases moved away from the ultra-high resolution 2560 x 1440 27" panels and to a smaller 1920 x 1080 resolution instead. Secondly manufacturers are trying to keep retail costs of their new screens down by using these lower resolution panels, but also providing more basic and trimmed down features, often doing away with most of the stand adjustments and connectivity options. Thirdly there seems to be a big focus at the moment on "frameless" or "borderless" panels, with very thin bezels and flat screen fronts. 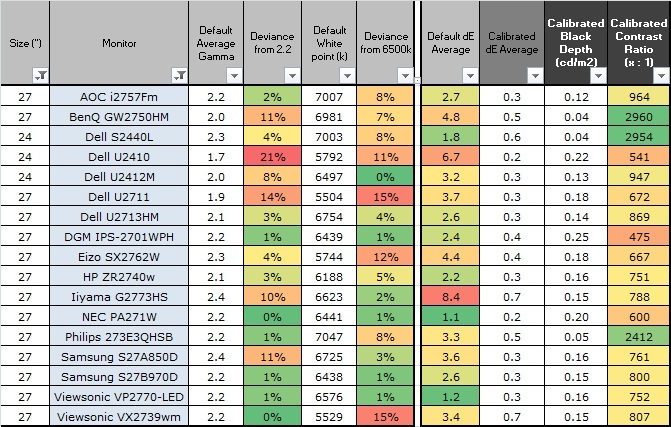 AOC have adopted all of these changes with their new i2757Fm / Fh models. The 27" screen makes use of LG.Display's new 1920 x 1080 resolution AH-IPS panel, in fact the first of this type that we have tested. It also features an edge to edge "borderless" design and is able to offer a very competitive retail cost thanks to some of its trimmed down features. Having said that, the i2757Fm has actually been awarded an iF Product Design Award 2012 and so it hasn't been completely cut back to become a very basic model. You will note that the screen comes in two flavours - the Fm and Fh models. As far as we can tell, both models are the same except that the Fm model features an MHL interface which the Fh model does not. Availability of each model may vary internationally as well, but the underlying panel and other features appear to be the same. We have the i2757Fm with us for review here. AOC's website states: "This Full HD monitor blows the contents of your Android devices up to an impressive size: With the innovative MHL interface (Mobile High-Definition Link) high-resolution photos, videos and games can be displayed directly from a smartphone or tablet PC on the huge 68.6 cm (27″) screen. A practical side effect: the mobile gadgets get charged at the same time. The LED model utilises the high-quality IPS display technology, which, besides providing a strong contrast und a brightness of 250 cd/m², stands for exceptionally good colour fidelity and viewing angle stability. 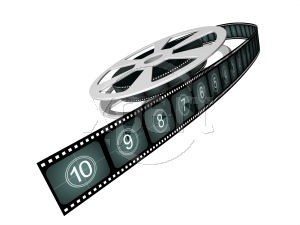 A big stage for your photos and videos!" The feature set of the i2757Fm is somewhat limited. There are only 1x D-sub (VGA) and 2x HDMI connections available for video connectivity. There is no DVI and so you will need a DVI > HDMI cable or adapter if you want to connect from a DVI port on your graphics card. It might have been preferable to feature 1x HDMI and 1x DVI as opposed to having two HDMI ports here. There is also no DisplayPort connection which is becoming increasingly popular nowadays. There is an audio out connection on the back of the screen if you want to listen to the sound sent over HDMI (if using HDMI end to end), but there are no integrated speaker on this model. The HDMI interfaces support HDCP for encrypted content. MHL is also supported over one of the HDMI connections (port 1). This is a new connectivity option which is starting to appear on a few monitors. It allows you to connect an MHL-supporting mobile or tablet device to the screen and view videos and photos saved on the device via your screen. It also charges the device while connected which is useful. The screen comes packaged with a D-sub VGA cable and an HDMI cable which is nice to see. The screen features an external power supply brick which comes packaged as well. There are no extra features here like USB ports or card readers, which are featured on some other models. There is however integrated speakers if you want to use them which might be useful to some users. 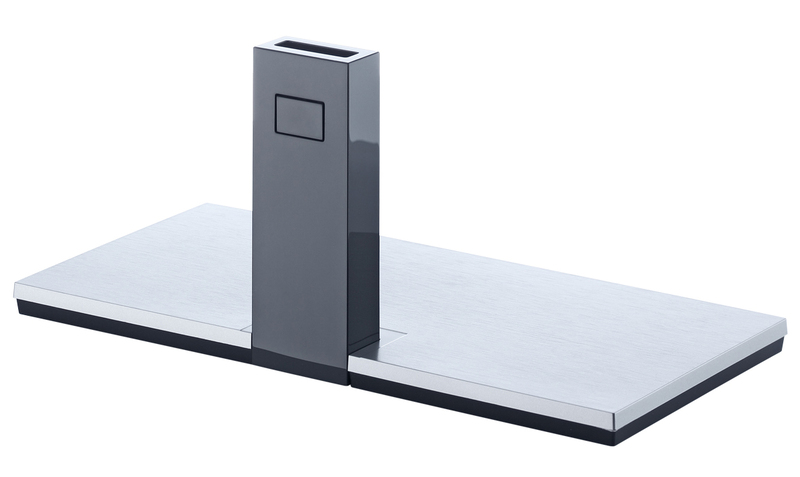 The i2757 comes in a primarily silver brushed aluminium style design. This is actually plastics designed to look like brushed aluminium incidentally but looks attractive. There is a thick lower edge to the screen which measures about 33mm thickness. This has the OSD control buttons situated on the front in the lower right hand corner, and a shiny silver AOC logo in the middle. It also houses the screens integrated speakers. Around the other edges of the screen is a very thin black plastic trim which is only ~2.5mm thick. This is the normal outer bezel of the screen but it should be noted that the image of the panel does not go all the way to the edge of the screen. There is also an "inner bezel" which is about 9.5mm thick before the actual image of the screen is shown. This is like a black border around the edge of the image and so gives the flat front and "borderless" design we spoke about earlier. Overall there is a gap of ~12mm from the edge of the image to the edge of the screen if you are thinking about multi-monitor setups. The image above shows the outer and inner bezels of the screen to help explain this further. The screen has a fairly large rectangular shaped base as shown above. This is finished in the same silver brushed aluminium style plastic design as the lower edge of the screen. This gives the screen a large footprint measuring 300 x 130mm but provides a pretty sturdy base for the large 27" screen. The arm at the back of the base is finished in a glossy black plastic. 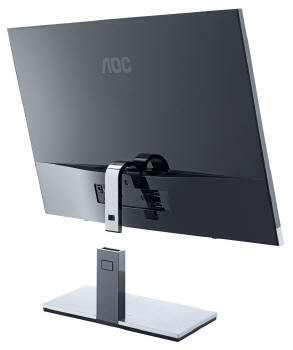 There is no cable tidy clip provided on this model, although the screen does sit low on the desk, meaning cables can be hard to see anyway depending on the users height. The back of the screen is finished in glossy black plastic as well, providing a smooth surface and finish. There is an AOC logo near the top as shown. At the bottom is a section where the interface connections are located. These stick directly out from the back of the screen as opposed to being positioned vertically as they are on most screens. Just above the interface connections there is a silver coloured metal arm which comes out of the back of the screen in a curved shape. This slots into the arm of the base as shown above and clips into place. If you want to however you can also use the screen without the base as shown above. The curved metal arm acts as the support for the screen, but this of course would mean the monitor sits even lower on the desk, flat in fact. There are a couple of rubber feet on the bottom edge of the screen to keep it stable if you opt to not use the stand. The screen is not VESA compatible and so cannot be wall mounted unfortunately. The screen has a nice thin side profile as shown above thanks to the use of W-LED backlighting and an external power supply. Overall the screen looks thin and sleek and the flat front and silver aluminium style plastic trim gives it a quality feel. The screen offers only a basic tilt adjustment from the stand. This is easy enough to position and offers smooth movements. However, the range is somewhat limited, especially when trying to tilt the screen backwards. There is no height, swivel or rotate adjustments offered from the stand unfortunately which were left off to help keep costs down. The materials seemed of a reasonably high quality although the panel and screen was a little flimsy in places, particularly in the bottom corners where it didn't seem to fit quite right. There was no audible noise from the screen and it stayed cool during use thanks to the W-LED backlighting unit. The power supply brick got a little warm but not overly hot. The back of the screen features the interface connections as shown above. There is a connection on the far left for the power supply, a D-sub VGA port and two audio connections. One is an audio input so you can connect from your PC into the screen and use the integrated speakers if you wish. The other is a headphone socket for if you want individual use. On the right are the two HDMI connections, with HDMI 1 being able to support MHL as well. The OSD is controlled via 4 touch sensitive buttons located on the lower right hand edge of the bezel. There is also a touch sensitive power on/off button to the right of these, along with a small square LED. This glows blur during normal operation and amber in standby. The buttons work pretty well and responsive to the touch. There is quick access to the input selection from the left hand button, the ClearVision control (left arrow) and volume control (right arrow). Pressing the button on the right hand end brings up the main OSD menu. The menu itself is presented as shown above, with a long bar across the bottom of the screen. The menu is split into 7 sections along the top grey bar, and you can navigate between them using the left/right arrows. The menu software is a little sluggish and slow but works well enough. The first section is the 'luminance' menu. Here you can control the contrast and brightness setting of the screen. There is also access to the ECO mode preset menu, gamma control, dynamic contrast ratio and overdrive setting. We will test these settings later on in the review. The second section is the 'image setup' menu but it is greyed out here since we are using digital HDMI connectivity, and the settings are only applicable when using analogue D-sub. The third section is the 'color setup' menu with options to control the color temp, DCB mode and RGB levels if available. The fourth section is the 'picture boost' menu. You can activate AOC's 'Bright Frame' feature here which gives you an adjustable "frame" you can move around the screen where brightness and contrast can be controlled separately. This might be useful if watching a video or something on only a small part of the screen where you want to boost the brightness for example, leaving the rest of the screen as normal. The fifth section allows you to control the OSD menu settings. The sixth section is the 'extra' menu where you can control the video input and off timer if you want. After that, the 7th "section" is the exit option, allowing to to leave the OSD if you want. There is also a hidden factory OSD menu available on this screen. You can access this by holding both the right and left arrow buttons down while you power the screen on. Once on, if you go into the OSD menu you will see a small "F" in the top left hand corner which is now an additional selectable section. Use this section at your own risk! Accessing the factory menu confirms a few aspects related to the preset mode settings. The panel being used in the display is also confirmed at the bottom which is useful to know. All in all the OSD offered a good range of options and adjustments. The software was pretty slow though and looked a bit chunky. Navigation wasn't too bad but not as intuitive as we've seen on some other screens. The touch sensitive buttons were a nice feature though and gave the screen a more premium feel. In terms of power consumption the manufacturers spec states power usage of <29W when the screen is turned on, presumably meaning at any brightness setting. In standby the screen is specified to use <0.5W, and when turned off it uses <0.3W. The AOC i2757Fm utilises an LG.Display LM270WF5-S2A2 AH-IPS panel which is capable of producing 16.7 million colours. This is achieved through the use of a 6-bit panel with Advanced Frame Rate Control (AFRC). This is the latest generation of so-called AH-IPS panel from LG.Display although in reality it is unclear what really makes these AH-IPS generation panels any different to the older H-IPS (and e-IPS) variants. 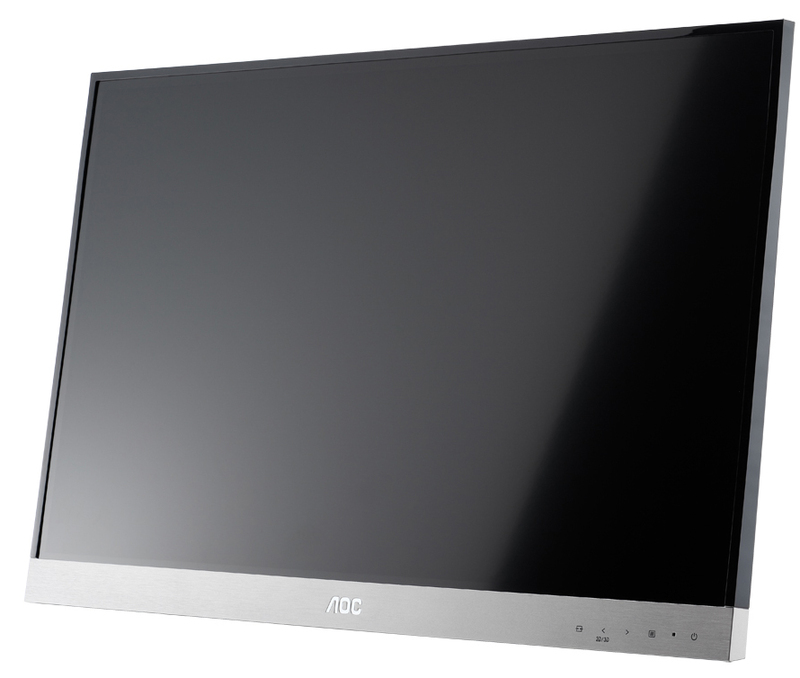 So far we have seen these new generation panels used in the Dell U2713HM and NEC P232W and have been pleased to find that the AG coating has been noticeably reduced. Perhaps this is one of the key changes with the AH-IPS generation. The panel is confirmed when accessing the factory OSD menu as shown below. The screen coating on the i2757Fm is a normal anti-glare (AG) offering. Readers will be pleased to hear though that the AG coating is actually nice and light and is not the usual grainy and aggressive solution you would normally find on an IPS panel or on the older models. 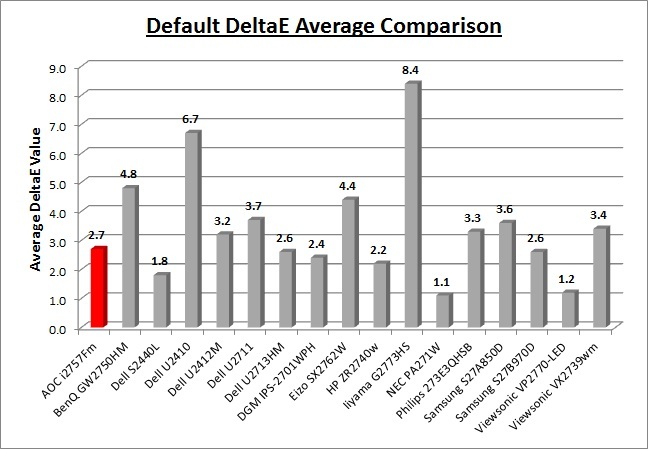 It is very comparable to what we saw on the recently released Dell U2713HM, perhaps slightly more grainy but not by much. LG.Display seem to have toned down the AG coating which is great news. It retains its anti-glare properties to avoid unwanted reflections, but does not produce an overly grainy or dirty image that some AG coatings can. The i2757Fm uses White-LED (W-LED) backlighting producing a colour space approximately equal to the sRGB reference. This means the screen is considered a 'standard gamut' backlight type. The gamut would cover approximately 72% of the NTSC reference space. 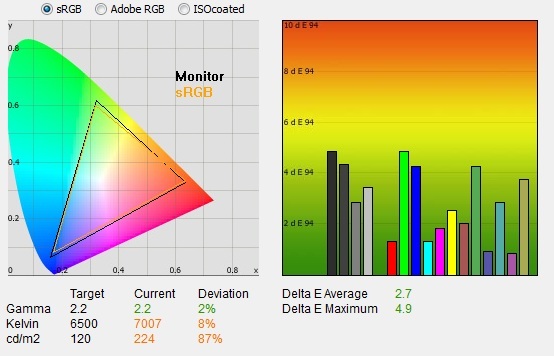 A wide gamut screen would need to be considered by those wanting to work outside of the sRGB colour space of course. We tested the screen to establish the methods used to control backlight dimming. Our recent article talks in more details about a common method used for this which is called Pulse Width Modulation (PWM). A series of photos was taken using the method outlined in the article. These were taken at 100%, 50% and 0% brightness settings. These tests allow us to establish 1) whether PWM is being used to control the backlight, 2) the approximate frequency at which this operates, and 3) whether a flicker may be introduced or potentially noticeable at certain settings. The AOC i2757Fm showed a cycling frequency of ~240Hz (30 lines at 1/8 second shutter speed) in the initial tests shown here. A further test at an even slower shutter speed confirmed the cycling frequency at approximately 236Hz. At 100% brightness there should be no flicker evident as the backlight is not cycled on and off using PWM. At lower settings PWM is used and the duty cycle becomes progressively shorter. Given the relatively low frequency of the PWM cycling compared with some other displays (e.g. PWM of 350Hz+) and the use of LED backlighting, there is a chance that flicker may be evident to some users as you lower the brightness setting as a result. 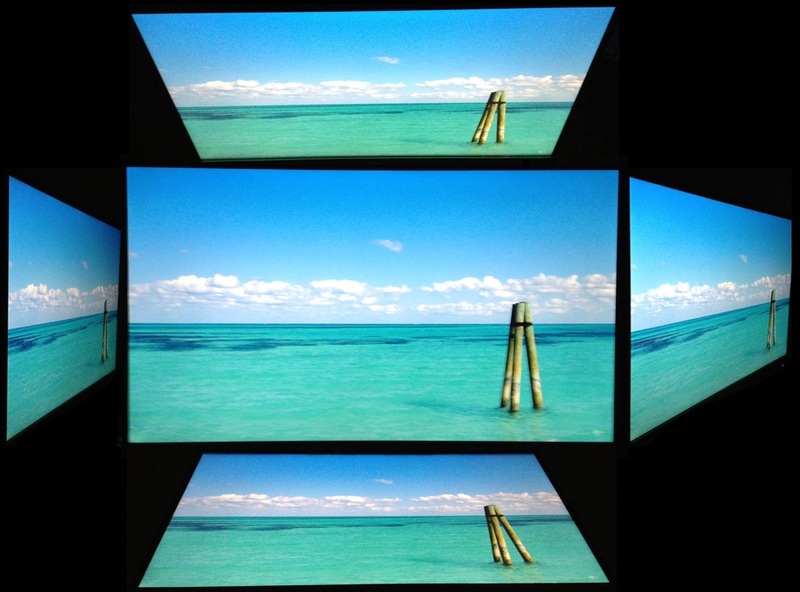 Some screens we have tested recently (e.g. 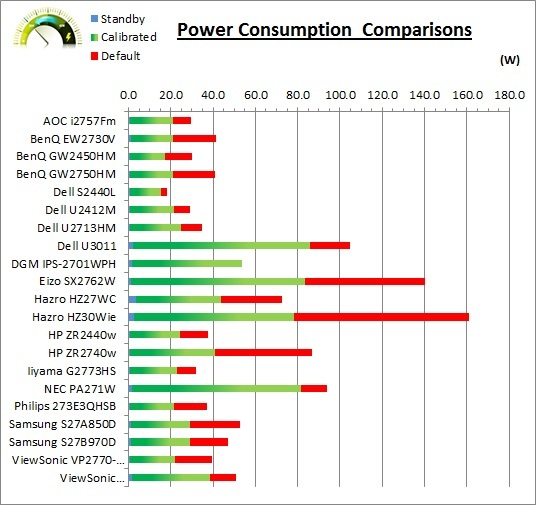 DGM IPS-27001WPH, Samsung S27B970D, ViewSonic VP2770-LED and Dell U2713HM) have not used PWM at all, but it it still a long-established technique and obviously still being used widely in the market. IMPORTANT NOTE: Before we get into this section we need to make an important note about use of the HDMI port. The screen only features a single D-sub VGA and 2x HDMI port. Naturally you will probably want to use the digital HDMI connection if you can for optimum picture quality. If you have an NVIDIA graphics card and want to use the HDMI at all, whether a straight HDMI > HDMI connection or a DVI > HDMI conversion, you need to make a change to your graphics card settings to display the optimum picture. This is because by default the output range over HDMI is limited by the graphics card, and it can greatly limit the picture quality and in particular the black range and contrast ratio. A change is needed via your graphics card to ensure a full 0 - 255 output when using HDMI, rather than it being limited to a smaller output range of 16 - 235. This applies to NVIDIA cards but is only necessary when connecting to the HDMI port on the screen and is not needed when using D-sub. A similar change might be required when using an AMD graphics card but the setting is built into their graphics card drivers we believe. For NVIDIA cards the simplest way to ensure a full output range is to use the handy toggle utility available here. If you run the program you can select a full 0- 255 range quickly and easily. The default set of the screen felt ok to the naked eye, perhaps a little cool, and as is normal for most screens it was too bright for comfortable prolonged use. The screen comes out of the box with a 90% brightness setting that will need to be turned down a fair amount certainly. In terms of measurements, the CIE diagram on the left confirms that the monitors colour gamut (black triangle) matches the sRGB colour space (orange triangle) very closely. It extends a little past the sRGB space in some shades in blues and greens, but falls a little short in some reds in this 2D view of gamut. For all intents and purposes this is a standard gamut sRGB colour space screen. Default gamma was measured at 2.2 average, leaving it only 2% out from the target of 2.2. This was too high in darker shades, and a little low in lighter grey shades, as shown in the more detailed table above. The white point was measured at 7007k, being 8% out from the target of 6500k which wasn't too bad, but a bit cool. You will note that the screen comes out of the box in the "warm" colour temperature mode which might seem a bit odd as a default setup. Weirdly this "warm" mode was a little too cool and in fact measuring some of the other modes revealed some other odd settings. In the "warm" mode the RGB channels were all locked at 50. If you switch to the sRGB color temp mode, nothing changes and the results are the same. The "user mode" by default is also set at 50 each for RGB but you are able to change them if you want. The "normal" mode is cooler still at 8171k (26% deviance from 6500k) but the "cool" mode behaves as it should, with a colour temperature of 11,398k measured. It seems that the normal mode is too cool, and the warm mode is closer to the 6500k target, although still a little bit too cool. This balance could have been better as it would have been nice to see a normal mode nearer to 6500k and a warm mode which made it warmer still, going significantly below 6500k. Different colour temperatures should be achievable through manual adjustments in the user mode and with calibration. A summary of the default colour temperatures is provided below for reference. Colour accuracy out of the box was pretty good with an average dE of 2.7 and maximum of 4.9. Colour gradients showed smooth transitions with some slight gradation at the darker end. No banding was evident. Some slight flicker was evident from the FRC algorithm, but nothing that a normal user should notice in practice. Luminance was too high as we had suspected, being measured at 224 cd/m2 by default while at the 90% brightness setting. 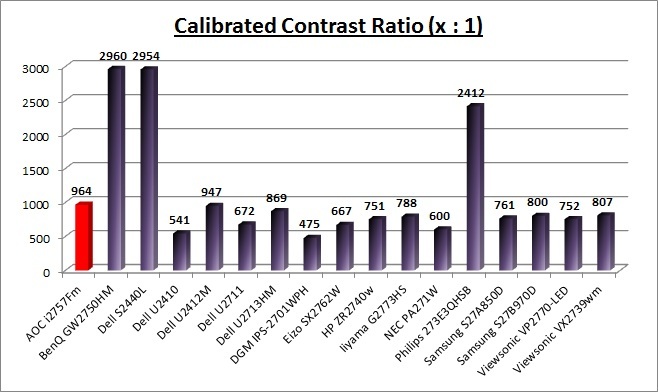 We achieved a very high static contrast ratio for an IPS panel of 1094:1 by default. Once again, you do need to change the colour output range if you're using HDMI on an NVIDIA card, otherwise contrast ratio will suffer massively. I reverted to the 'user' color temp mode in the OSD menu which would allow me access to the individual RGB channels. Adjustments were also made during the process to the brightness control, and to the RGB channels as shown in the table above. This allowed me to obtain an optimum hardware starting point and setup before software level changes would be made at the graphics card level which would help preserve tonal values. After this I let the software carry out the LUT adjustments and create an ICC profile. 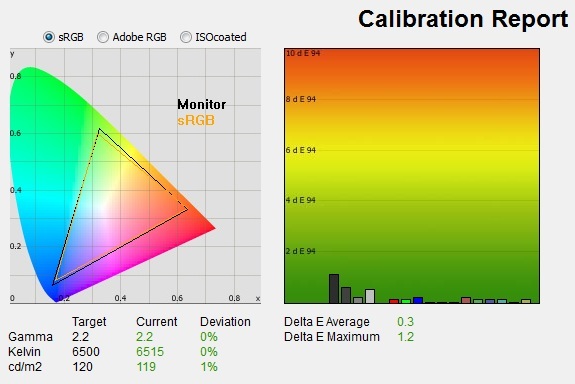 The screen does not feature a hardware LUT calibration option so other than the OSD alterations, the rest of the process is carried out at a graphics card level in profiling the screen. Average gamma had been corrected to 2.2 with 0% deviance overall according to the initial test, correcting the default 2% deviance we'd found in this preset. The 8% deviance in the white point from our target of 6500k had also been corrected here and the colour temperature was now pretty much spot on at 6515k. Luminance had also been corrected thanks to the adjustment to the brightness control, now being measured at 119 cd/m2. This also gave us a calibrated black depth of 0.12 cd/m2, and an excellent (for an IPS panel) calibrated static contrast ratio of 964:1. Colour accuracy had also been corrected nicely, with dE average of 0.3 and maximum of 1.2. LaCie would consider colour fidelity to be excellent now overall. Testing the screen with various colour gradients showed mostly very smooth transitions. There was some slight gradation in darker tones and some very slight banding evident due to the profile adjustments made here. Nothing too major though that would be noticeable in most normal uses. It's worth also commenting on the screen coating in this section of the review. 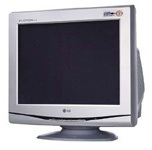 Unlike many other IPS panels, this screen does not feature the usual heavy and aggressive Anti-glare (AG) coating which can sometimes lead to grainy and dirty looking images. Instead it uses a light AG screen coating and as a result the colours look more clean and crisp, the image quality is sharp and whites in particular look more pure than they do on heavy AG coated screens. It isn't a full glossy solution which adds another level of clarity and changes the overall feel of the screen, but it is an improvement over the heavy AG coating of some other IPS screens. Default setup of the i2757Fm was pretty good on the most part. Gamma was close to the target with only a 2% deviance. The white point was a little further out being a little too cool with an 8% deviance, but not a huge amount really. The default colour accuracy was pretty good as well at 2.7 dE average. A reasonable factory setup for this screen although a more accurate white point would have been useful. Default colour accuracy is compared again on the above graph, with the i2757Fm having a pretty reliable default setup which is nice to see. Once calibrated the dE average was reduced to 0.3. This would be classified as excellent colour fidelity by LaCie. It was not quite as low as some of the other screens here which reached down to 0.2 average, but in practice you would not notice any difference here at all. The professional range models from NEC and Eizo are even more accurate than other models shown here. Professional grade monitors like those offer other high end features which separate them from some of these other models, including extended internal processing, 3D LUT's and hardware calibration. These comparisons are based on a small selection of tests, so it should be remembered that other factors do come into play when you start talking about professional use. 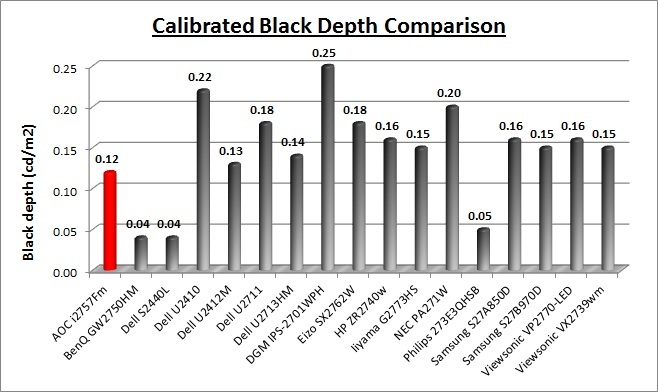 The calibrated black depth and contrast ratio of the i2757Fm were excellent for an IPS panel, with a measured contrast ratio of 964:1. This was very pleasing for an IPS based screen although of course it can't compete with the very high CR's of the VA based screens shown here. A contrast ratio of ~1000:1 seems to be about the limit for IPS technology at the moment. The luminance range of the screen was good. At the top end the panel reached 249.63 cd/m2 which was basically spot on with the specified maximum of 250 cd/m2. At the lower adjustment end it could reach down to a low 54.75 cd/m2 meaning the screen should be fine even in darkened room conditions for most users. It doesn't quite offer the lower adjustment range of some screens but it's still more than adequate. 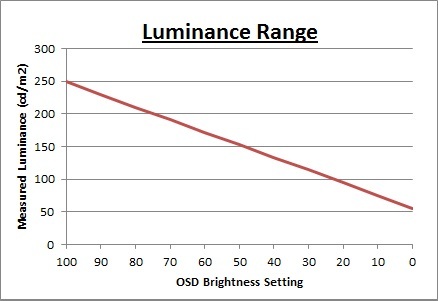 A brightness setting of ~33% should return you a default luminance of around 120 cd/m2 as well. Black point remained low across the adjustment range, from 0.23 cd/m2 down to 0.05 cd/m2. 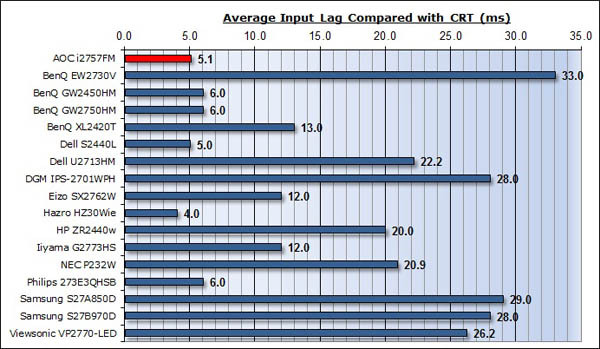 Average default contrast ratio measured was ~1107:1 which was excellent for an IPS panel. This seemed to fluctuate a little across the brightness adjustment range but not by anything significant. 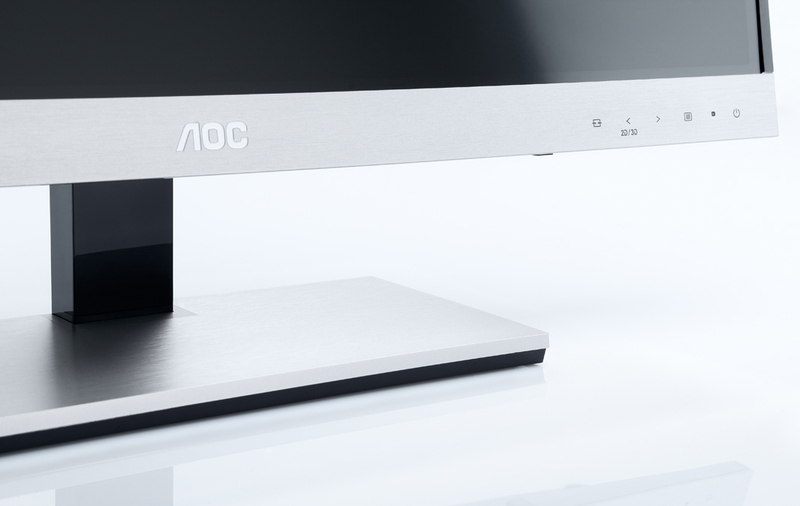 The AOC i2757Fm features a dynamic contrast ratio (DCR) control, which boasts a spec of 20,000,000:1 (20 million:1). Dynamic contrast ratio involves controlling the backlight of the screen automatically, depending on the content shown on the screen. In bright images, the backlight is increased, and in darker images, it is decreased. We have come to learn that DCR figures are greatly exaggerated and what is useable in reality is often very different to what is written on paper or on a manufacturers website. The DCR feature is available in all the ECO modes and has a simple setting for on or off. Once enabled you cannot control the brightness setting manually and it becomes greyed out. We tested the DCR feature and you could immediately notice the screen getting much brighter when you first turn it on compared with the standard calibrated state. When switching between an almost all-white and an almost all-black screen there was a subtle change in the brightness of the screen which you could detect with the naked eye. It took about 3 seconds in total to change from one end to the other. On an almost all-white screen we measured a luminance of 245 cd/m2 which was pretty much the maximum possible from the panel when set at maximum brightness. On an almost all-black screen the black depth reached down to 0.12 cd/m2. The DCR feature seemed to be controlling the brightness level from ~100% down to ~40% in these tests based on these measurements. This gave us a dynamic contrast ratio of 2043:1. Not massive, but at least somewhat usable, and able to double the calibrated static contrast ratio we had achieved. We tested the screen with a completely black screen as well as on some screens that results in the backlight being turned off completely. This is how manufacturers come up with their crazy high DCR specs in the lab. It should be noted that it would be extremely rare to ever see a 100% black image in real use and so this is more of a theoretical DCR than a realistic, practical DCR. You'd have to be turning the backlight completely off on an all-black image to achieve anything near the 20 million:1 spec. In the case of the i2757Fm, this doesn't happen anyway. 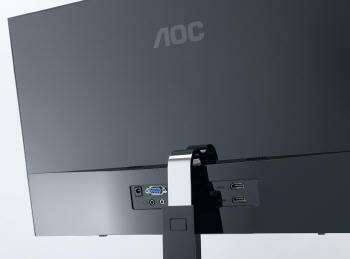 Viewing angles of the AOC i2757Fm are very good and as you would probably expect from an IPS panel. Horizontally the fields of view were very wide and a gamma shift was only really introduced from a wide angle where the image darkened. Vertically the gamma shift was a little more pronounced but overall the fields of view were very good. The panel was free from the off-centre contrast shift you would see from VA matrices and this is one of the reasons why IPS is so widely regarded as the panel technology of choice for colour critical displays. The panel of course offered far wider viewing angles than TN Film matrices which can be very restrictive, especially vertically. 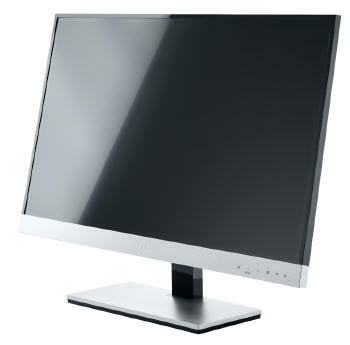 On a black image, like many other IPS panels, there is a white glow when viewed from an angle. This picture was taken in a darkened room though and in normal working conditions this shouldn't present much problem. In fact the white glow was much less pronounced than on some other IPS panels we have tested and was not too bad at all. Given the large 27" screen size there is still some "IPS glow" noticeable from the corners as you look at the screen head on from a relatively close distance. The overall uniformity was mediocre here. The central region of the screen remained close to the target luminance of 120 cd/m2 but it did seem to drop a fair amount in the upper corners of the screen. In the top left the luminance dropped down to 101 cd/m2 (-19% deviance) and in the top right it dropped down to 103 cd/m2 (-16%). 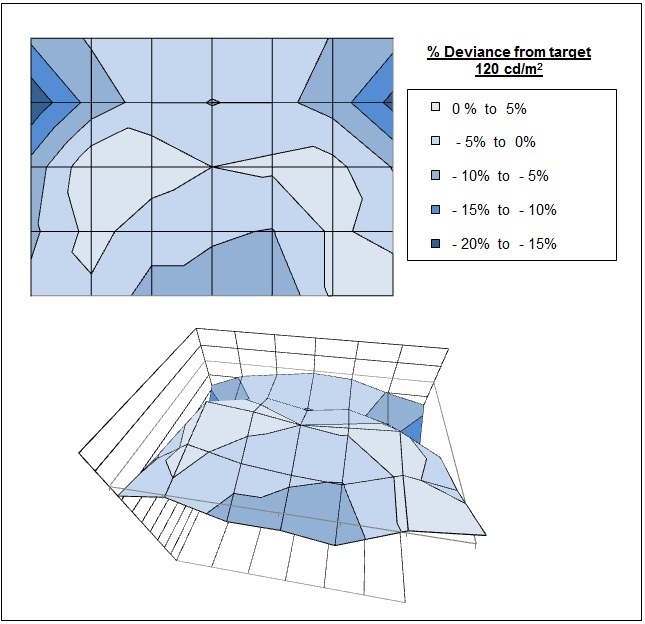 Overall approximately 2/3 of the screen were within 5% deviance of the central point which was good. As usual we also tested the screen with an all black image and in a darkened room. A camera was used to capture the result. There was no severe backlight leakage at all, and only some slight clouding along the top right hand and bottom left hand edges. Nothing very noticeable at all which was a good result. 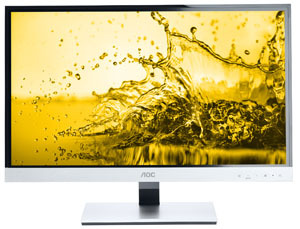 The AOC i2757Fm isn't like many other 27" screens in the market. It does not offer a massive WQHD 2560 x 1440 resolution and instead sticks with a smaller 1920 x 1080 resolution across its 16:9 aspect panel. While this of course has some cost saving advantages, and is perfectly suitable for multimedia use, it is not as good for general day to day office work. This relatively low resolution on such a large screen means there is a 0.311mm pixel pitch and the text appears large as a result. This might be good for those with any kind of eye sight issues, and for those who prefer a larger text size for a lot of web and text based work. However, you need to consider that this same 1920 x 1080 resolution can be found on small screens as well, including 21.5" diagonal models. On screens that size the resolution is arguably a little too high and text is a little too small, but on a 27" diagonal sized screen I personally think it is too low. The screen is certainly comfortable for a lot of text reading, but it just doesn't look quite as sharp and crisp as a higher resolution equivalent. You do also really miss the desktop real-estate when coming from a 2560 x 1440 screen to this. The resolution is still adequate for side by side splitting of content on the screen which is useful. The digital HDMI interface offered a slightly sharper image quality than the D-sub analogue interface and so should be used wherever possible for your PC connection. Remember to make the adjustment to your graphics card output range if you're using HDMI from an NVIDIA card. At least with the AG coating being light here the white backgrounds did not appear too grainy or dirty as they can on some other IPS panels with heavy AG coating. Default luminance of the screen was recorded at 224 cd/m2 which is too high for prolonged office use. You will want to turn the screen down probably to around 33% brightness to achieve a luminance of around 120 cd/m2. Those wanting to use the screen in darker room conditions and at a luminance lower than this can do so through further adjustment to this setting, down to around 55 cd/m2 minimum which should be adequate for most cases. There is a specific 'text' and 'internet' preset mode available from the ECO mode in the OSD which will cap the brightness setting at a defined level. Maybe useful to some users, perhaps in an office environment or something, but for most users a manual control over the brightness setting in the 'standard' ECO mode is probably preferred. The default setup of the screen was pretty good as well with a good gamma setup and colour accuracy. The white point was a little too cool sadly, but if you follow our basic OSD adjustments from our calibration process (and maybe also try our calibrated ICC profile) you should be able to get an even better setup, even without a colorimeter of your own. The ClearVision feature seems to accentuate the sharpness of the image and there are settings for weak, medium and strong. Some users may wish to experiment with these, but personally I prefer the more natural sharpness with the setting off. They are probably more useful for movies and games where sometimes the exaggerated sharpness can look nice. The screen sadly does not offer any USB ports which I think are always handy for connecting external devices. There are also very limited ergonomic adjustments available from the stand with only a tilt function provided. This adjustment is also a little limited in range back and forth unfortunately, and height adjustment is certainly missed. 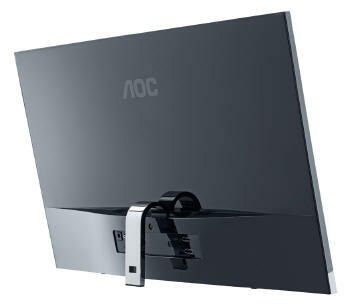 There are no added functions such as ambient light sensors or human motion sensors here, but AOC have included integrated speakers which should be ok for some casual 'office noises' and the odd mp3 or YouTube video. The i2757Fm is rated by AOC as having a 5ms G2G response time which implies the use of overdrive / response time compensation (RTC) technology. This is used to boost pixel transitions across grey to grey changes and improve responsiveness in practice, and reduce ghosting and blurring. The panel being used is an LG.Display LM270WF5-S2A2 AH-IPS panel. Before we get in to the side by side screen comparisons I want to quickly talk about the 'overdrive' control available through the screens OSD menu as shown. It is available within the 'luminance' section of the menu as shown above. This allows you to manually control the level of overdrive / RTC impulse being applied to the pixels, with options of off, weak, medium and strong being available. You may wish to read our specs section for some further information about overdrive / response time compensation. The screen was tested using the chase test in PixPerAn, a good bit of software for trying to quantify differences in real terms responsiveness between monitors. As a reminder, a series of pictures are taken on the highest shutter speed and compared. The images above are the best case examples from the screen with the 'overdrive' setting at each level. With overdrive set to off, the image showed a reasonable amount of blur behind the moving object. There was no severe ghosting or trailing as you might see on some very slow panels, but the blur was pretty obvious. When switching to the 'weak' overdrive level the moving car became ever so slightly sharper in practice and blurring was reduced a very small amount. This level didn't seem to be changing the response time much in practice. 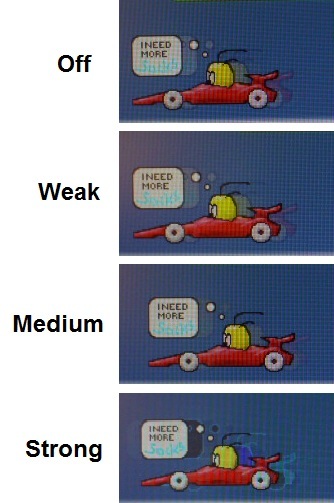 When switching to the 'medium' setting there was a more pronounced improvement. You could notice the reduction in the image blur by a reasonable amount and the movement was sharper. This delivered a better pixel response time and the overdrive was working well. The 'strong' option however introduced a very noticeable and unwanted overshoot in the form of a dark and pale trail behind the moving car. In this setting, the overdrive impulse was far too aggressive and produced a lot of unwanted side effects. We would suggest using the 'medium' setting for optimum pixel response times on this screen. We have selected the medium overdrive setting here for the comparisons since it had returned the optimum performance. 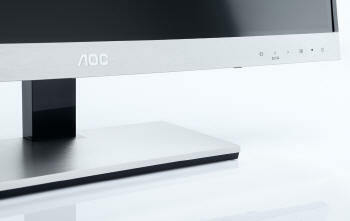 In practice the AOC i2757Fm delivered low levels of motion blur and a sharp moving image in this setting. It was free of the very noticeable dark and pale overshoot artefacts caused by the overly aggressive overdrive impulse in the 'strong' mode. We have first of all provided a comparison against 3 other popular 27" models. 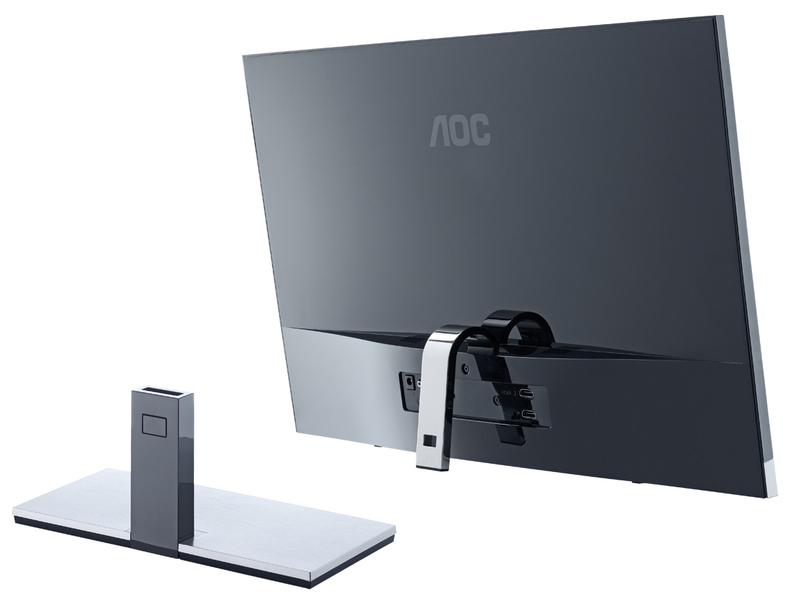 In practice, the performance of the AOC's IPS panel fairs very well. It is more responsive than the BenQ GW2750HM which uses a modern AMVA panel. Historically AMVA panels have been very slow, but this was one of the first of a new generation which showed a marked improvement. It has slightly more motion blur than the AOC, and also shows a slight dark overshoot which you can see in the image above, caused by a poorly controlled overdrive impulse. The HP ZR2740w is another 27" IPS panel, like the AOC, but is a 2560 x 1440 resolution model. It is free of any noticeable overshoot problems, but the motion blur is more apparent and it is not quite as fast as the AOC as a result. The recently tested Dell U2713HM performed very well in these tests, being a little faster than the AOC in fact and only showing a very slight dark trail. Another good example of why you can't always rely on the quoted specs as the Dell has a supposed 8ms G2G response time, while the AOC's 5ms G2G is somewhat exaggerated. The AOC performed comparatively very well really, and a pleasing sign for these new 1920 x 1080 resolution IPS panels it seems. We have also provided a comparison of the i2757FM against 3 Dell screens which are popular in smaller sizes. We had seen some dark trailing on all three of these Dell models. While they showed low levels of blur, they did seem to suffer from a poorly controlled overdrive impulses. While these pixel response tests show the i2757Fm to have fast transitions and low levels of motion blur, there is something else going on as well here which can't be picked out by the camera. All of these other TN Film models are running at 120Hz refresh rates, which allows for improved 120fps frame rates and the support of 3D stereoscopic content as well. This can really help improve smoothness and the overall gaming experience so these screens still have the edge when it comes to fast gaming. From a pixel response point of view this screen performed very well, but there are some other areas you still need to think about when it comes to high end gaming. It couldn't keep up with the very fast TN Film models with 120Hz support. The responsiveness of the i2757Fm was very good overall really, once you've found the optimum overdrive setting. The medium setting showed a noticeable improvement over the off and weak settings, but didn't go to the extremes of the strong setting which just introduced too many overshoot problems. In the medium mode we were pleased with the overall responsiveness and the screen should be fine for even some fast, high level gaming. Aspect Ratio Control - The screen offers two options within the OSD menu for hardware level aspect ratio control. There is an option for 'wide' which will fill the screen completely, no matter what the source aspect ratio or resolution, stretching it if necessary. The other option is for 4:3 which will maintain a 4:3 aspect ratio if that is what the source image is. There's no further options unfortunately such as 5:4 which could have been handy in some cases. An 'auto' feature would have also been useful to automatically detect the input aspect ratio and match it from the display. A 1:1 pixel mapping option is also missing. Further aspect ratio options would need to be controlled by your graphics card, but at least AOC have included a 4:3 mode I suppose. Preset Modes - There is a 'game' preset mode available from within the ECO mode menu. This doesn't change the colour settings or anything, it simply locks the brightness setting at 60%. May be useful to some if you want to quickly switch to a higher brightness setting than your normal use without changing the brightness control manually. The AOC i2757Fm shows a very low level of input lag. This was measured at 5.1ms average. Note that this is the overall display lag, and so accounts for the signal processing time + an element of the pixel response time. The lag of this screen has been categorised as CLASS 1 as detailed above. It should be perfectly fine for gaming as a result, even for fast paced FPS. There are no additional DVI or DisplayPort connectivity options available, only 2x HDMI and 1x VGA. Might have been useful to see DisplayPort which is increasingly popular for external Blu-ray devices and for AMD graphics cards. Wide brightness range adjustment possible from the display, including a good maximum luminance of ~250 cd/m2 and good minimum luminance of ~55 cd/m2. Should afford you very good control for different lighting conditions. Black depth and contrast ratio are excellent for an IPS panel. Shadow detail in darker scenes should not be lost. 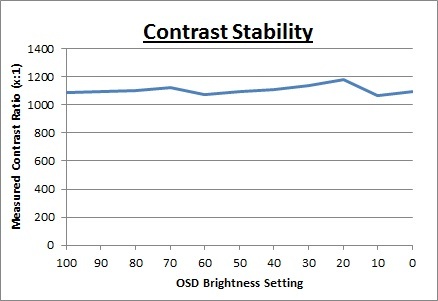 Dynamic contrast ratio works to a small degree, offering a DCR of ~2043:1 in practice. Might be useful to some users if you like this feature. At least it works a bit unlike some screens. 'Movie' ECO mode preset available which simply locks the brightness control at 80%. Might be useful if you want to switch to a higher brightness than your normal setup quickly, and without fiddling around with your 'standard' mode. ClearVision feature accentuates the image sharpness, which might be useful in some cases. It is controllable with 3 different levels of intensity. Worth playing around with to see if you like it. Very good pixel responsiveness which should be able to handle fast moving scenes in movies without issue. No real issue with overshoot as long as you stick to the medium overdrive setting. Slightly limited hardware level aspect ratio control options which may be needed when connecting external devices, DVD players etc. Options for 'wide' (16:9) and '4:3' only. A 1:1 pixel mapping mode or an 'auto' aspect ratio retention might have been useful here as well. Wide viewing angles thanks to the IPS panel technology meaning several people could view the screen at once comfortable and from a whole host of different angles. Limited range of ergonomic adjustments available from the stand with only tilt available. Might be difficult to obtain a comfortable position for multiple users or if you want to sit further away from the screen for movie viewing. Integrated speakers available on this model along with an audio input connection as well. May be ok for some occasional YouTube videos etc but probably not for watching many movies. The headphone socket may also be useful to some users. Make sure you adjust your graphics card settings if using HDMI from an NVIDIA card to get the full range and proper contrast ratio. 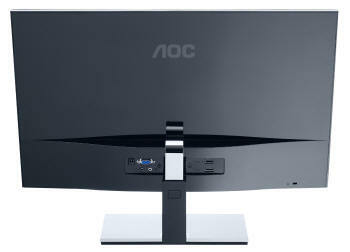 The AOC was a pleasing debut for the new 27" 1920 x 1080 IPS generation we felt. The performance of the panel was very good overall as you might hope for from modern IPS technology. Out of the box performance was largely very good, although the colour temperature was a little cool. With a good gamma curve, reliable sRGB colour space coverage and decent colour accuracy the default setup was pleasing for what is really a low cost screen. The black depth and contrast ratio were also excellent for an IPS panel, including after calibration. In other areas the IPS technology offered the usual wide viewing angles and also performed very well in terms of pixel response times. With these fast pixel transitions and a nice low input lag, the screen should be able to handle plenty of gaming and multimedia needs. The design of the screen was interesting. On the one hand the flat front, brushed aluminium style plastic finish and touch sensitive buttons gave it a premium feel. The ability to remove the stand and use the screen on its own was also an interesting option. We couldn't help feel though that the limited stand adjustments, including quite a narrow tilt range, left the screen a little inflexible. Connectivity options were also a little limited. Great to see 2x HDMI here and the inclusion of MHL is a nice extra too. However, we were missing a normal DVI, DisplayPort and USB connections. I suppose really these stand and connectivity limitations are the trade-off for a lower cost screen at the end of the day. Users will of course be aware of the "low" 1920 x 1080 resolution on this model. To be fair, that is the same as modern TN Film and AMVA panels offer in this size sector, it's just that perhaps we've been a little spoilt with the super high resolution 2560 x 1440 IPS models in this sector. To some users, the smaller resolution will be preferred anyway, where graphics cards are more suited to the lower res and where the screen might be used for movies and external devices more often, which don't need the extra high resolution. Of course again, the lower resolution helps to keep the retail cost down considerably. 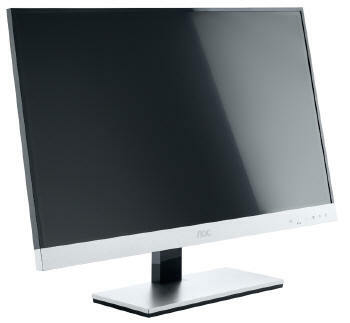 The AOC i2757Fm retails in the UK for ~£240 GBP at the time of writing, making it considerably less expensive than popular 2560 res models like the Dell U2713HM (£570) of course. It's also quite a lot less than the lower cost 27" 2560 res IPS models around like the Hazro HZ27WC (£400) and DGM IPS-2701WPH (£360). Perhaps that's not really a fair comparison given the differences, but the AOC is also priced competitively against some other new 1920 res IPS models like the Dell S2740L (£300 - review coming soon!) and also the AMVA based BenQ GW2750HM (£200). If you are looking for a lower res panel but want something large and with IPS technology then this is well worth a look.